One of our lucky readers will win the grand prize of a $50 dollar gift card by simply entering! This is an AMAZING gift, and allows the winner to choose anything they want from the entire Shabby Apple website! There are HUNDREDS of dresses, blouses, skirts, swimsuits, accessories and more that you can choose from! I LOVE the bloom skirt. I think I would feel like a princess wearing it. I Love the lace dress. It is one of my favorites from their site. I have my eye on the blue Joive de vivre dress. thanks for the giveaway! I love love love the One for my baby dress! I'm in love with the Gondola dress! I am in love with the Gondola Dress! I love the lace dress...so so pretty! I love the lace dress! What a fun giveaway! Loving the vintage striped sheath dress! I love ALL the dresses from their store! I love almost all of their clothes. The dress I have been wanting for a while now if the Joyride dress. Love it! I love all of their clothes. I have been wanting the Joyride dress for a while. I love it! I love all there mama friendly dressed like Polly Hill! Such a cute cut and very easy to dress up or down. I love all there mama friendly dresses like Polly Hill! Such a cute dress in a very nice cut. Easy to dress up or down. I really love the Gondola and G. Cooper dresses! Love the Gondola dress! Love Shabby Apple! I am such a fan of your blog and I really love Shabby Apple! It would be wonderful to get a cute Shabby Apple Dress!!! 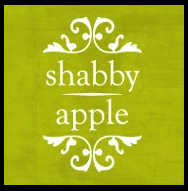 I am such a fan of your blog and I love Shabby Apple! It would be so wonderful to win a Shabby Apple dress!!! I love the Ms Porter dress...with the zipper down the back it is so cute and I would love to win- Thanks so much for the chance! I can't choose just one! They're all so cute. I'd love to win and wear the dress to my sister's wedding in July!! I have wanted your alice in wonderland lace dress for ages, ever since I got married last year. I haven't had the money or means to get it, but it always sneaks up in my dreams. I would love this gift card so stinking much it's silly. I love the Santa Monica dress! I already have 3 skirts and two tops from Shabby Apple that I love! I love the Orchid dress! My eyes completely bulged when I saw this giveaway! I LOVE Shabby Apple. I recently bought a dress from them and it is wonderful! I'd love to get another. I'm thinking one of the pink lace ones. I can't decide which one yet though. Thanks for the chance to win! I do like the Whistlestop dress. Love Shabby Apple and love the Gondola dress! I really love the LA dress. So adorable!